AST had a voracious appetite for instructional airframes. Bristol Fighter Mk III J8452 served with 2 FTS at Digby, Lines from June 1929 to September 1931. It joined AST as an instructional airframe in July 1934. Avro 621 Tutor G-ABIR. This Tutor served from March 1931 until being impressed as HM504 in October 1941 with 3 EFTS, as the school had become. In April 1942 it was downgraded to instructional airframe status, becoming 3065M. Avro 621 Tutor G-ABIR is flight over the school buildings with the AST hangar just behind the tail and the northern airfield above its upper wing. This Tutor served from March 1931 until being impressed as HM504 in October 1941 with 3 EFTS, as the school had become. In April 1942 it was downgraded to instructional airframe status, becoming 3065M. 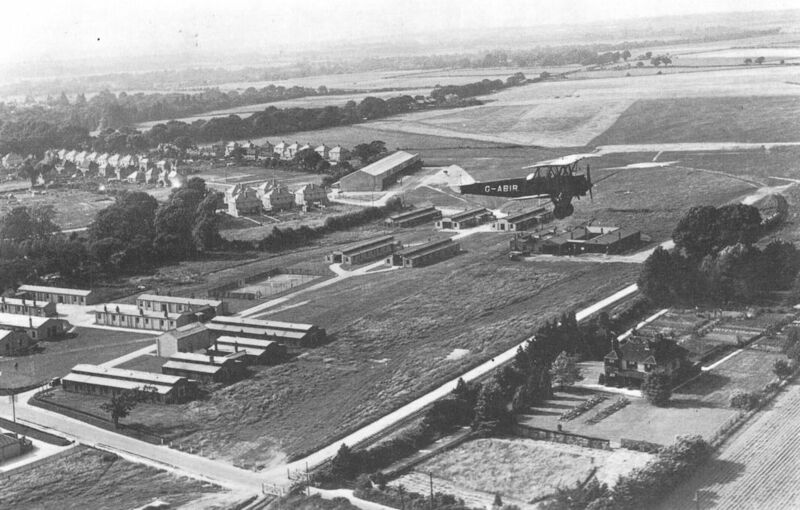 AST was formed by Armstrong Whitworth in 1931 with a large hangar built for the flying school on the north airfield (the former Avro factory and flying field being to the south). In this view of the crowded school hangar, the DH.83 Fox Moth G-ACCA helps to date the picture. This was registered in February 1933 but exported to Australia the following September, becoming VH-UTY. 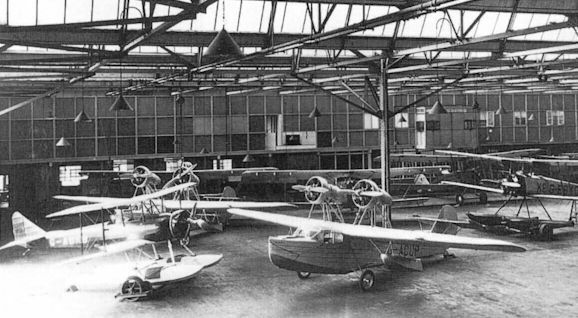 Other types in view are the staple of the school, with A W Atlas Trainer G-ABHW (registered April 1931, scrapped in 1938) in the left foreground. Behind the Fox Moth is Avro 621 Tutor G-ABIS which served with AST from March 1931 through to October 1941 as HM505 (by which time the school was designated 3 EFTS), becoming instructional airframe 3064M in April 1942. Behind the Atlas is Avro 631 Cadet G-ABYC which is another interloper, not having served with AST. This machine is the longest survivor of those identifiable in the photo, being broken up at Barton, Manchester in mid-1951. 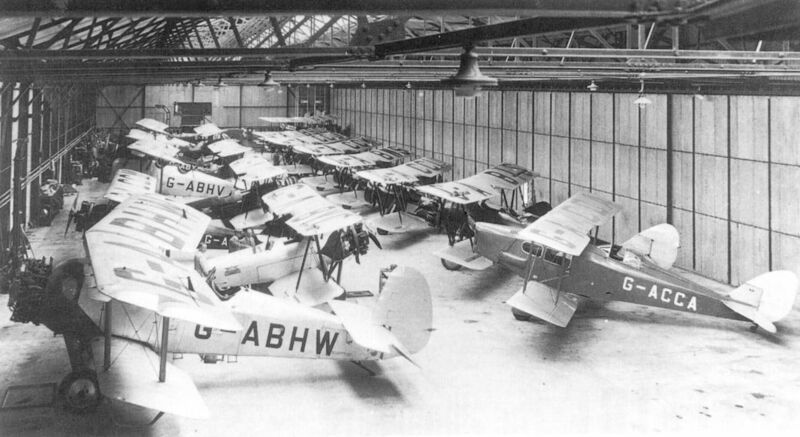 AST grouping within the huge Avro/AW works building on the southern airfield. Foreground, left to right: Avro 616 Avian IVM floatplane G-ABKB, entered service in March 1931 and served on until being impressed, as instructional airframe 2073M, in February 1940. Saro A.17 Cutty Sark G-ACDP served AST from April 1933 until April 1939 when it was scrapped. Avro 504N G-EBKQ was converted by Avro at Hamble and flew for them in several capacities, the most famous of which was as Bert Hinkler’s mount in the gruelling 1925 King’s Cup which was staged out of Croydon over 1,608 miles and two days in July. In 1930 it was converted to 5040 seaplane status and joined AST, retiring in June 1931 to act as an instructional airframe.